The Bounty Hunter TK4 Tracker IV is one of the most popular entry level metal detectors available on the market; partly because of its awesome features that allow beginners to operate it easily without any form of complications, but more so because of its affordable price(around $100). It is streamlined in appearance; with only two operating controls and a mode. And all users need to do is set the discrimination and sensitivity levels and they are ready to start treasure hunting. So, if you’re an entry level user, the Bounty Hunter TK4 Tracker IV offers a great way to get started in metal detecting and treasure hunting without breaking your budget. In this article, I’ll be reviewing and examining its features, so as to help you get an unbiased view of what it offers. The Bounty Hunter Tracker IV is one of the products in the range of Bounty hunter devices (metal detectors and accessories) from the First Texas Company. Bounty hunter devices have been selling on the market since 1988 and they are highly reputed for their affordability and top-quality products that are easy to use. It’s an all black, sleek looking detector and has an adjustable height design that simplifies its usage, irrespective of whether the user is tall or short. It is lightweight; thereby allowing for prolonged usage without tiring its user and its ergonomics allow for easy handling. Additionally, it has a detector stand that enables you keep it out of the mud while retrieving your target. You want a user friendly detector that offers tremendous value for your money. 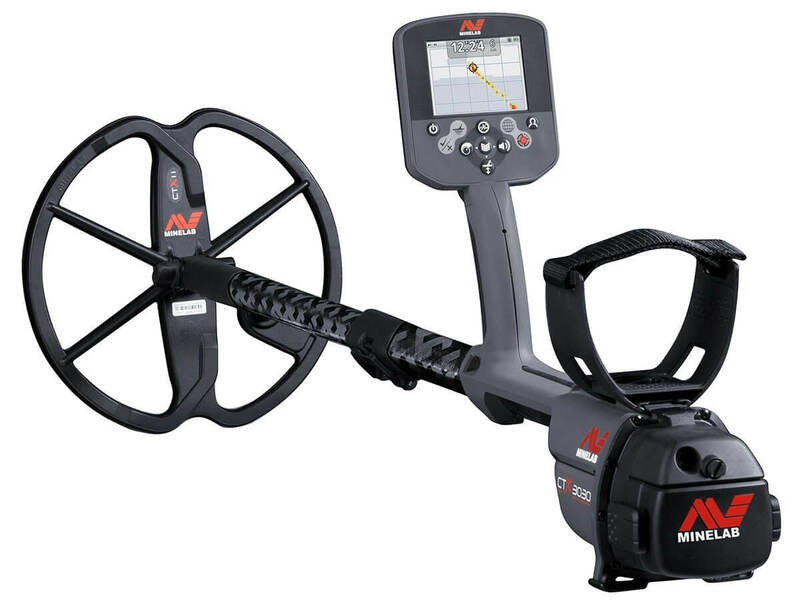 You want a detector that introduces you to the world of metal detecting and treasure hunting. Having highlighted the above, let’s now discuss the features and what you get from Bounty Hunter TK4 Tracker IV. The Bounty Hunter TK4 Tracker IV features three detecting modes which can be conveniently controlled via a toggle switch dial. The modes make it easier for you to eliminate targets that you do not want to find, while at the same time setting the sensors towards specific items that you want detected. All-Metals mode: This allows the detector react to any metal swept over. 2-Tone Audio mode: Enables the detector to emit one or two pitches or tones for the different metals passed over. Discrimination mode: Enables the detector to reject certain metals, such as iron. The Bounty Hunter TK4 Tracker IV features an 8” concentric waterproof coil that can be submersed in wet grass and shallow waters. This submersible feature enables the detector search up to 8-inch deep for coins and similar-sized objects, and 3″ for larger objects; thereby ensuring detection in moisture laden grass and shallow water. The coil is interchangeable. This feature makes the Bounty Hunter TK4 Tracker IV an ideal choice when pitched up against other devices of a similar range. Unlike other metal detectors that feature a built-in LCD display, the Bounty Hunter TK4 Tracker IV instead, comes with a large, centrally positioned target indicator, which gives a visual indication of when you’re closing in on a target, a sensitivity meter to limit electromagnetic interference, and a disc/notch control which eliminates the poor quality metals from detection. Built in Automatic Ground Trac allows the Bounty Hunter Tracker IV to balance for mineralization while you detect. With this feature; this detector neutralizes response to mineral content in the ground; making it able to detect in highly mineralized sites and beaches; without requiring any adjustments from the operator to the circuitry and with no loss of sensitivity. The Bounty Hunter Tracker IV is lightweight and sturdily built to work in extreme and hard ground conditions. The lightweight feature is very important, as even three pounds can get heavy after several hours of use. A padded armrest that stops plastic rubbing on the arm. Adjustable height design that makes it simple to use for both tall and short persons. A detector stand that enables you keep it out of the mud while retrieving your target. An early version of the Tracker IV. The headphone is to be bought independently as an accessory! Also, the Bounty Hunter TK4 Tracker IV does not feature a built-in LCD display. It just comes with a large, centrally positioned target indicator gives a visual indication of when you’re closing in on a target. Excellently priced; the TK4 Tracker is perfect for several applications; including relic hunting, coin shooting, cache hunting, and jewelry to general searches for lost property. It has quite a number of user friendly features that offers tremendous value for your money. It comes highly recommended as one of the best metal detectors for beginners that you can find!